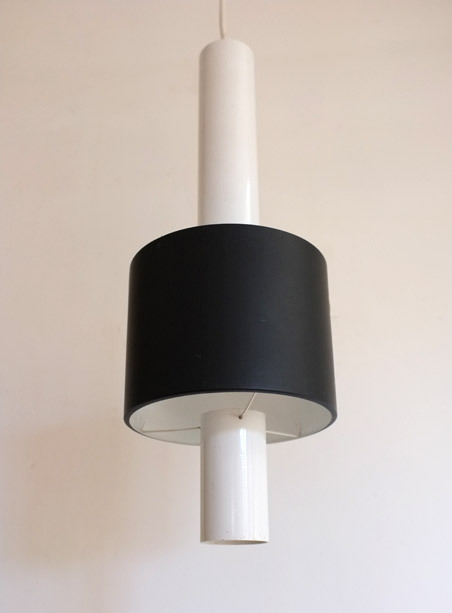 A set of three 1960s pendant lights in black and white metal. 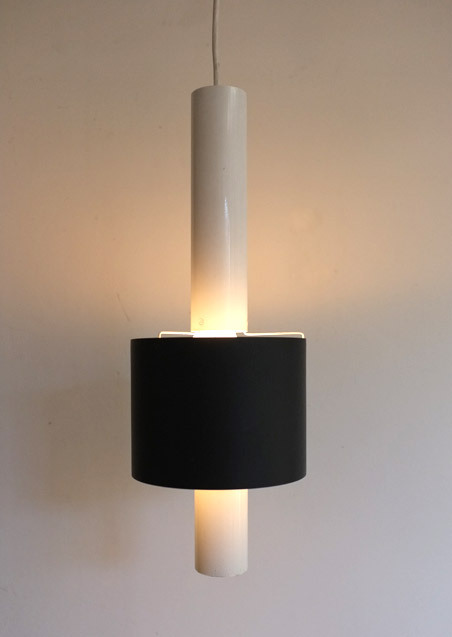 Maker unknown but similar to models by Dutch company Raak. 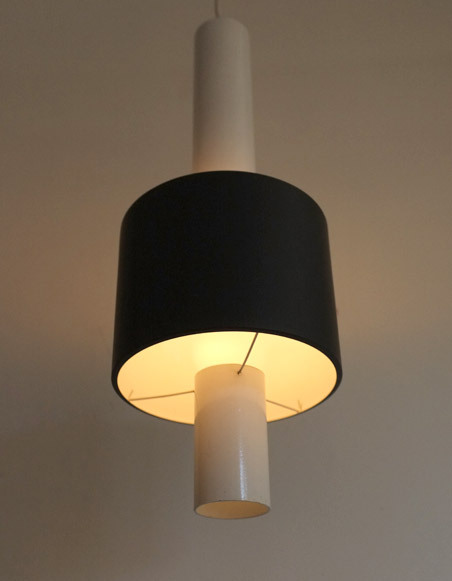 A striking and simple design that would work well in a hallway or kitchen. 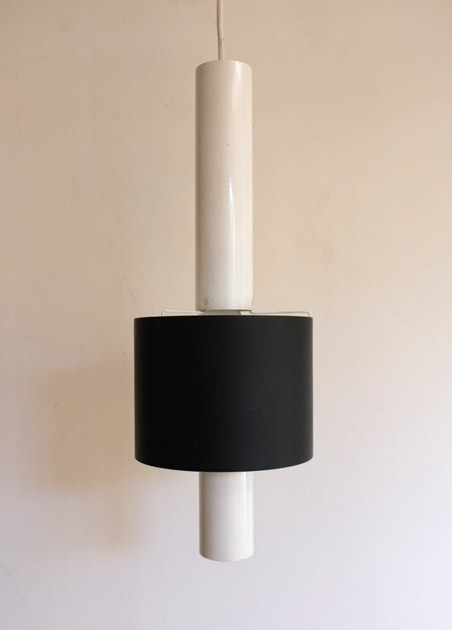 Metal black painted shades and white thinner uprights. The bottom piece clips on the inside of the black shade. In very good original condition, no dents just a few light scuffs to the black shade.